Coffee and beer go together well for a number of reasons. They both inspire legions of devoted, addicted fans (with beer, these people are called “Aleheads, Beer Geeks, or Alcoholics”…with coffee, these people are called “The Employed”). They both have cult-like followings where people flock to local institutions to drink them, meet, and chat. They both involve roasting, toasting, complex flavors, pungent aromas, and complicated beverage delivery mechanisms. And when you’ve had too much of one, having a little bit of the other can balance you out quite nicely (but don’t get caught in the coffee/beer downward spiral…it never ends well). So it’s only natural that brewers started incorporating the magical little coffee bean in their offerings. Brewers began adding coffee to dark beers in the mid-to-late 90’s and at first it was seen as just a novelty. But by the middle of the 00’s, enough coffee beers had been produced that many beer festivals added a separate judged category just for them. As their reputations continued to rise, many coffee beers became considered “prestige” brews. Indeed, other than hops, fruit and possibly dark chocolate, there aren’t many beer additives that have received so much positive attention as coffee. The problem with brewing a coffee beer is that it’s an extremely challenging and risky proposition. Think of the myriad ways of brewing coffee…all of those flavors, aromas, bean varietals, brewing methods. There are so many places you can go wrong. The same is true of beer. Now try combining these two incredibly complex beverages…the options are so limitless…the obstacles so numerous…that getting the combination right can seem impossible. How light or heavy do you roast the coffee beans and the malt? 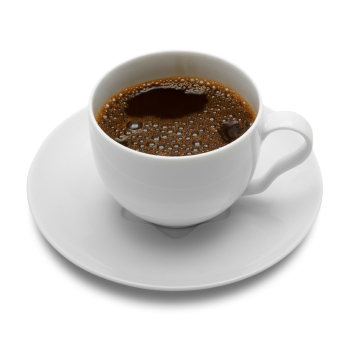 Do you just use beans, or do you incorporate actual, brewed coffee? What style beer are you using as a base? Stout? Porter? Brown ale? How powerful do you want the coffee flavor? Just a subtle whiff? Or should it be the dominant flavor? Answering all of these questions and producing a beer that is balanced and interesting requires a brewer of the utmost skill, patience, and dedication. Fortunately, there are plenty of those brewers out there and more coffee beers are finding their way onto package store shelves every day. Surly makes a wonderful coffee beer called the Bender. Founders has a variety of Breakfast Stouts that are out of this world (including the Kentucky and Canadian versions). Kona in Hawaii has a Pipeline Porter and Lagunitas makes a Cappucino Stout . In my neck of the woods, Good People makes a Coffee Oatmeal Stout and Terrapin makes a Wake ‘n’ Bake. Overseas, Meantime in London makes a Coffee Beer and the extremely well-regarded Mikkeller in Denmark makes a beer called the Beer-Geek Brunch-Weasel. Dr. Van Drinkale and I sampled one of these last Fall…it’s brewed with civet coffee which are beans picked out of the droppings of civets (weasel-like animals), thoroughly cleaned, and then used to make potent, pungent coffee. If you don’t think about the fact that you’re drinking marmot-poop, it’s actually a spectacular brew. The Terrapin Oak-Aged Wake ‘n’ Bake tends to disappear quickly from the taps of my local watering hole, the J. Clyde’s (best alehouse in Birmingham, FYI). So I was pleasantly surprised when a fresh keg was flowing over the weekend. I ordered up a glass of this heady brew which was served in a 10-ounce nonic glass. The beer poured pitch black like most coffee beers and had a very limited head. Just a basic ring of caramel coloring around the rim which left oily, long-lasting lacing. The aroma was heavily dominated by bitter coffee, with plenty of burnt wood, some dark chocolate, molasses, and a faint hint of something sweet, like vanilla peeking through. No hop profile to speak of, but that’s true of a good many coffee beers. The oak aging most likely mellowed out the nose a bit, making the aromas more subtle. The taste was “quieter” than I expected…again, probably due to the oak aging. The first note is very sweet…the molasses and chocolate really shine. That flavor is quickly overtaken by a rush of coffee which lingers and lingers. It’s a good coffee taste…not burnt, but strong….like the last cup of black coffee left in the pot. The bitterness of the coffee stays through the aftertaste and that, in conjunction with the oak aging, makes it very hard to differentiate any real hop flavor. But that’s OK…there’s enough bitter in the beer that a strong hop profile is probably unnecessary. The mouthfeel was oily, slick, and resiny…I think it was still coating my mouth the next morning. Drinkability is pretty low, as is the case with most coffee beers. I’m actually not a coffee drinker (Brother Barley doesn’t like stimulants…just depressants) which may affect how many of these I could put back. I would venture to say that the big flavors, long-lasting coffee bitterness, and thick mouthfeel would limit the amount of Wake and Bakes you could put down in a session, regardless of your predilection for a cup of Joe. But it’s a damn fine example of an excellent style and well worth 3 Hops from me. I wouldn’t mind waking up to one of these every day. Posted in Beer 101, Tasting Notes.Tagged Coffee Beer.